Name Variation Joseph Taylor was also known as Benjamin. 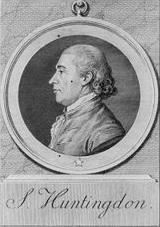 Joseph Taylor was born circa 1735 at Virginia. He was the son of Benjamin Taylor and Elizabeth Waters. Joseph Taylor married Elizabeth Fishback in 1762 at Virginia. Joseph Taylor died on 18 February 1806 at Virginia. Married Name 1762 As of 1762,her married name was Taylor. Elizabeth Fishback was born circa 1741 at Virginia. She married Joseph Taylor, son of Benjamin Taylor and Elizabeth Waters, in 1762 at Virginia. Married Name 25 February 1803 As of 25 February 1803,her married name was Lunsford. Brunella Taylor was born circa 1767. She was the daughter of Joseph Taylor and Elizabeth Fishback. Brunella Taylor married William Lunsford on 25 February 1803. Married Name 20 September 1792 As of 20 September 1792,her married name was Basye. Elizabeth Taylor was born circa 1767. Elizabeth Taylor married James Basye on 20 September 1792. William Lunsford married Brunella Taylor, daughter of Joseph Taylor and Elizabeth Fishback, on 25 February 1803. James Basye married Elizabeth Taylor, daughter of Joseph Taylor and Elizabeth Fishback, on 20 September 1792. Matthew Keene was born in 1650 at Northumberland, Virginia. He was the son of Thomas Keene Jr. and Mary Thorley. Matthew Keene married Bridget Withers in 1681. Matthew Keene died on 14 April 1731 at Stafford, Stafford, Virginia. Thomas Keene Jr. was born in 1593 at Suffolk, England. He was the son of Thomas Keene Sr. and Elizabeth Gosnold. Thomas Keene Jr. married Mary Thorley, daughter of Edward Thorley, circa 1635 at first marriage for her. Thomas Keene Jr. was buried in 1653 at Cypress Farm, Lewisetta, Northumberland, Virginia. He died in 1653 at Northumberland, Virginia. Thomas Keene Jr. immigrated circa 1642 From England To Kent Island, Maryland. He left a will on 27 November 1652 "In the name of God Amen know all men that I Thomas Keene being fresh of memory doth as followeth ffirst I bequeath my spiritt to God that gave it after my body to the earth and then as followeth I give and bequeath to my son Thomas one Cowe named Cole next to my Daughter Susann one Heifer called by the name of Su next I give my son William one heifer named Gentle next I give my son Matthew the next Cowe Calfe that falleth of the old Cowes … Know all men that I doe give to my wife Mary Keene for the bringing up of my children all my moveable goods and hogs and cattle but what I have given to my children and the remainder of my Tobco when my debts is paid is to my wife Also I give this land the plantacon to my wife during her life after her decease I give the said land to my sone Thos and his heirs forever. Overseers of the estate Hon Mosely John Stanly Thomas Orlye (Hawley ?) Matthew Rhodon. Witnes my hand and - this 27th of Novem: 1652 The marke of Thomas Keene. Witness Henry Rainer John Knight 20 Janu 1652 (1652/3) This will was proved by the oaths of Henry Rainer and John Knight and Execucion thereof Comitted to Mary Keene widow and Principall Legatee and is Recorded". Married Name Her married name was Keene. Elizabeth Gosnold married Thomas Keene Sr.
Elizabeth Gosnold was born in 1570 at Suffolk, England. She was the daughter of Sir Robert Gosnold III and Ursula Naunton. Elizabeth Gosnold died in May 1665 at Stafford, Virginia. Children of Elizabeth Gosnold and Thomas Keene Sr.
Thomas Keene Sr. married Elizabeth Gosnold, daughter of Sir Robert Gosnold III and Ursula Naunton. Thomas Keene Sr. was born in 1560 at Suffolk, England. Married Name Her married name was Gosnold. Ursula Naunton married Sir Robert Gosnold III, son of Robert Gosnold II and Mary Vesey. Ursula Naunton was born in 1535 at Letheringham, Suffolk, England. She was the daughter of William Naunton and Elizabeth Wingfield. Ursula Naunton was buried in 1615 at Otley Church Cemetery, Otley, Suffolk Coastal District, Suffolk, England. She died in 1615 at Otley, Suffolk, England. Sir Robert Gosnold III married Ursula Naunton, daughter of William Naunton and Elizabeth Wingfield. 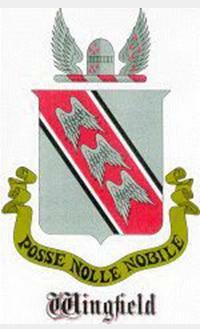 Sir Robert Gosnold III was born in 1534 at Suffolk, England. He was the son of Robert Gosnold II and Mary Vesey. Sir Robert Gosnold III died on 1 November 1615 at Suffolk, England. He was buried after 1 November 1615 at Otley Church Cemetery, Otley, Suffolk Coastal District, Suffolk, England. Robert Gosnold of Earleshall, County Suffolk, Esq. To be buried at Otley near my wife. To Elizabeth Keene, my daughter, the wife of Thomas Keene, 8 pounds a year. To my son Anthony Gosnold my house in Swillon called Eales. To grandson Robert the Manor of Netherhall. To my son Thomas Gosnold 200 pounds. To Henry Keene my grandchild, 20 pounds. 1...His bequests are to three of his children: Elizabeth, Anthony and Thomas. 2...Other bequests to two grandchildren: Robert Gosnold and Henry Keene. 4...Otley Hall is not mentioned. Married Name Her married name was Naunton. Elizabeth Wingfield married William Naunton, son of Thomas Naunton and Emma Taye. Elizabeth Wingfield was born in 1515. She was the daughter of Sir Anthony Wingfield and Lady Elizabeth De Vere. Elizabeth Wingfield died in 1592. William Naunton married Elizabeth Wingfield, daughter of Sir Anthony Wingfield and Lady Elizabeth De Vere. William Naunton was born in 1512. He was the son of Thomas Naunton and Emma Taye. William Naunton died in 1553. Lady Elizabeth De Vere married Sir Anthony Wingfield, son of Sir John Wingfield and Anne Tuchet. Lady Elizabeth De Vere was born in 1480. She was the daughter of George De Vere and Margaret Stafford. Lady Elizabeth De Vere died in 1559. Sir Anthony Wingfield married Lady Elizabeth De Vere, daughter of George De Vere and Margaret Stafford. Sir Anthony Wingfield was born in 1475. He was the son of Sir John Wingfield and Anne Tuchet. Sir Anthony Wingfield died in 1553. Sir Anthony Wingfield was Esquire to the Body to the King; was knighted by his royal master, Henry VIII; later made comptroller of the household, and installed at Windsor, a Knight of the Garter on May 3, 1541. Sir Anthony was Captain of the Yeoman of the Guard and placed several people in the Tower of London, including Thomas Cromwell and the Earl of Surrey. In 1513 he was knighted by Henry VIII in Tourraine. He served with distinction in the campaign in France. After Henry VIII routed the French at Guinegate at the Battle of the Spurs and thereby captured Tourraine (Therouane) and Tournai. He was knighted in Tourraine for his bravery in that campaign. Knighted by Henry VIII for bravery at Battle of Spurs, 16 Aug 1513. Name Variation Margaret Wingfeilde was also known as Wingfield. Margaret Wingfeilde married (?) Barrett. Margaret Wingfeilde was born in 1515. (?) Barrett married Margaret Wingfeilde, daughter of Sir Anthony Wingfield and Lady Elizabeth De Vere. Christopher Barrett was born in 1562. He was the son of (?) Barrett and Margaret Wingfeilde. Christopher Barrett died in 1598. Margaret Barrett married (?) Huntington. Margaret Barrett was born in 1595. She was the daughter of Christopher Barrett. Margaret Barrett died in 1661. (?) Huntington married Margaret Barrett, daughter of Christopher Barrett. Simon Huntington was born in 1629. He was the son of (?) Huntington and Margaret Barrett. Simon Huntington died in 1706. Samuel Huntington married Mary Clark. Samuel Huntington was born in 1665. He was the son of Simon Huntington. Samuel Huntington died in 1717. Samuel Huntington married Hannah Metcalf. Samuel Huntington was born in 1691. He was the son of Samuel Huntington and Mary Clark. Samuel Huntington died in 1784. Samuel Huntington was born in 1731. He was the son of Samuel Huntington and Hannah Metcalf. Samuel Huntington died in 1796. Connecticut Representative. Samuel Huntington signed the Articles of Confederation as a member of the Continental Congress. Later he signed the Declaration of Independence as Governor of Connecticut. Hannah Metcalf married Samuel Huntington, son of Samuel Huntington and Mary Clark. Mary Clark married Samuel Huntington, son of Simon Huntington. William Wyther was born in 1512. He was the son of Roger Wyther and Alice Modsley. William Wyther died in 1543. Thomas Wyther was born in 1548. He was the son of William Wyther. Thomas Wyther died in 1596.